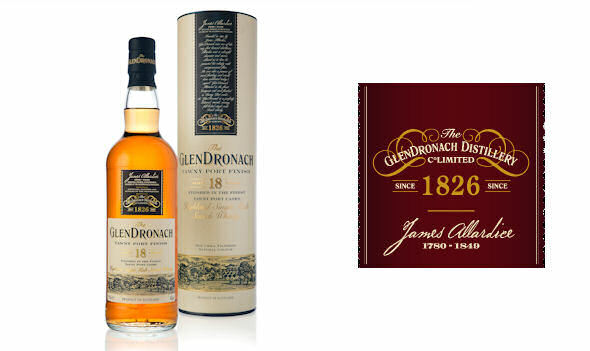 GOLDEN syrup, red fruit compote and red grapefruit – a mouth-watering description of the new GlenDronach 18 year-old Tawny Port expression launched today (4 August 2014). Bottled at 46% abv, it is the award-winning Aberdeenshire distillery’s latest addition to its wood finishes range and replaces the 15 years old Tawny Port finish expression. The GlenDronach Tawny Port finish is first matured in European oak casks and thereafter finishes its maturation in a small batch of Tawny Port casks. This gives the whisky its own unique flavours and aromas – in particular a distinctive rich red fruit taste. The tasting notes show the whisky and the two different woods combining brilliantly to produce a phenomenal Highland malt. Appearance: Bright amber with a tawny heart. Nose: Elegant notes of golden syrup drenched over red fruit compote with a contrasting red grapefruit balance. Touches of cinnamon and nutmeg add to a rounded, warm depth. Palate: Vivid, tart cranberries and crisp barley marry harmoniously with stewed plums and roasted apples. Cedar wood and sweet cigar box spices add a delicate warmth and unique complexity to the long warm finish. Finish: A beautifully structured balance of contrasting rich fruit characters and intriguing warm oak spices. Sales Director Alistair Walker said: “We launched our wood finishes range four years ago and the response worldwide has been excellent. “We’ve carefully selected whisky that has been gently maturing in lighter casks so that aficionados experience the full impact of the Tawny port cask.